First of all, I would like to thank you all of you for your comments on my last entry! It was my first interview, so I'm glad you liked it! I'm thinking of doing some more interviews, so keep an eye on it!! Today I spent the evening with Rocío around Barcelona center, taking pictures and having a fun time... but now I'm almost dead, and I should rest because tomorrow I'm going to a zombie walk! Yes, a zombie walk, but unfortunately I had no time for doing any costumes, so finally I'll go but only for taking pictures for my classes! Interview: Rocio Ponce and the Skins Spain Project. Iwrote today my first interview for Skins, El blog, and I would love to share it with you... enjoy it! Rocio Ponce has a gift, and is the gift of showing us the world through his eyes curious, always expectant to their environment. She began to dream about photography since her very youth, but her real interest was created with about 18 years, when she felt she wanted to live by this art. So she left her high school education and began the High Grade Art Photography at Barcelona. I love going out with my friends and have a good time just hanging around Barcelona. You can discover lots of beautiful places, and that happened today to me! As you know, I'm doing a Coolhunting course, and last week our teacher told us that we should go around the city and catch some cool looks and places of Barcelona... so I'm showing you some of my pictures!! I think that you all know by now the brilliant spring collection of Viktor & Rolf, right? So, this is it!! Yesterday night was THE NIGHT!! 50's party with my friends! Lots of fun and cool looks! Be prepared for a good bunch of pictures! Yesterday I walked into El Borne, another gorgeous neighborhood from Barcelona, and discovered several nice places... follow me! MissKellie has tagged me in this funny game, so of course I'm doing it, dear! Thanks!! Hello everybody! 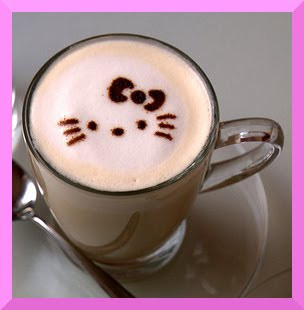 I hope your weekend was ok, as your monday... did you receive lots of presents last sunday? I hope so! As I complete to retouch photos of yesterday's meeting, I thought that my blog has changed a lot, both in content and appearance, since I started. That is why I make na short guide to what you can find it at the level of links directed to other places outside it. The Bloglovin' button. I discovered Bloglovin' a while ago, thanks to Laia; and I must say that it's the best tool for reading blogs I've ever seen. It's fast, confortable an easy to use for following your blogs; almost everybody has it! And it's cool because you can save your favourite post of your bloggers! I've been searching all the blogs I follow by Google Friend Connection, but I haven't found all of them... so, if you read this and finally you decide to make your bloglovin' account, please, tell me! So I could follow you in an easier way! And of cours,e if you like my blog, you're welcome to follow me in that way too! Today I went to see Biffy Clyro to Razz 2. Guess waht? They didn't allowed me to make pictures with my cam. Yep. I mean, I understand that, sometimes, I can't take pictures with my reflex; it's a big camera (well, not SO big, I mean, Canon EOS 1000D) and someone should think that I want to sell them or something like that (nothing could be further from reality, since in fact, I always try to sign my photos so nobody could steal them. 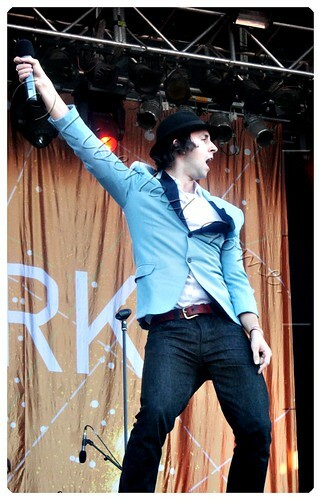 I could never sell one of my photos unless the band allowed me, is like "selling his art" and could not do it). 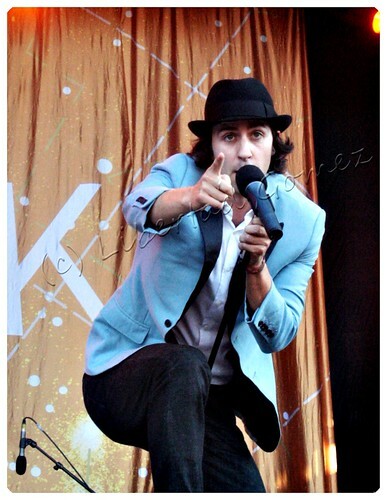 Anyway, I enjoyed the concert, and for "celebrate" those who doesn't allow people to do pictures in their concerts... here is a little bunch of pictures I made last Sziget (and that weren't unreleased before). 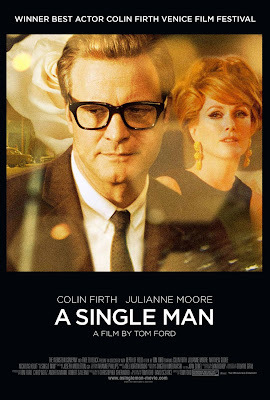 Today I went to the cinema for seeing "A Single Man", a film by Tom Ford in where you can see Colin Firth playing George, a university teacher who suffers the suddely death of his partner. 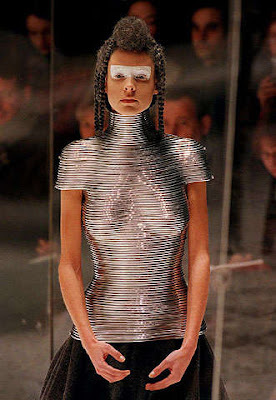 The first time I cared about Alexander McQueen's work was in 1999. I saw this at a Vogue issue, and I was fascinated. Yesterday night I was looking at the March Kera Issue, and I found a lovely editorial that I want to share with you. It's called Romantic Sugar Punks. 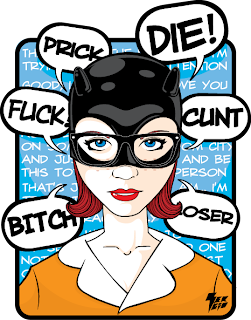 Ghost World is probably one of my favourite comics from all the times. First time I read it I had about 16 years old, ant it was so funny because in that time, I had a friend, and we used to bee so Enid-Rebecca (at the end, she "changed", as Rebecca... and I move away, so I think this story is so Ghost World-alike). In the film, we could see a gorgeous Thora Birch playing the character of Enid Coleslaw... isn't she fabulous? As you know, at Independent Fashion Bloggers exist the Links à la Mode; weekly, the best articles are chosen and I think that is interesting showing them to you; so here you have!! Be quiet, I'll post something more a little bit later! Yesterday I went with my dearest Laia and Esther to our favourite Kaiten suhi... well, maybe is not the better one in Barcelona, but we love to go there and enjoy our meal! After that, we took some pictures of us in the Saint Ana Church, an small and lovely place in the heart of Barcelona. As you all may know, I write in the spanish blog of the Skins' serie, and yesterday I wrote a very interesting article about the eating disorders. As a psychologist and as a human. What do you think about it? Let me know, please! And if you want to read it in spanish, you can do it here! Live aus Berlin: last day! As I promised, here are the pictures of our last day at Berlin. We had breakfast at Frankfuter Tor, visited the Bang Band Club (finally we couldn't go by night *snif* ) went to The Museums' Island, ate at Alexanderplatz and finally, we went to the Desigual Party at night! Be prepared for a bunch of pictures! This wasn't supossed to happened...! Yes, because it was supossed that today I would write about our last day at Berlin, I know... but... it has been a long day!! I wouke up early in the morning because I had to fix some papers in the center; after that, I walked a while, leaving my CV in some shops... yes, I'm looking for a job! Later, I came home and saw the new season of Lost... Ohmylost!! And at 5 o'clock I was at Urgell because I had a an appointment with a guiding for searching a job... but suddely, my phone started to ring; it was my friend Vega, who said that in their Calire's shop they're looking for a girl... and they want me for an interview... so please, wish me luck for tomorrow!